Found 28 file extension associations related to Roxio Creator and 17 file formats developed specifically for use with Roxio Creator. Roxio delivers the industry's best and easiest tools for burning CDs, DVDs and Blu-ray discs. The new, handy Roxio Burn desktop widget lets you easily drag and drop files for burning or copying right on your desktop. Easily copy data, audio, photo or video CDs, DVDs and Blu-ray Discs. Copy an entire 9 GB DVD movie onto a standard 4.7 GB DVD. Create custom DVD compilations. Convert video files for playback on a device of your choice. Replaced by Roxio NXT 3 family of products. 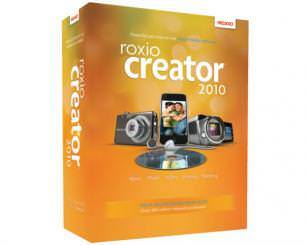 The Roxio Creator software seems to be old or discontinued. If you need more information please contact the developers of Roxio Creator (Roxio), or check out their product website.